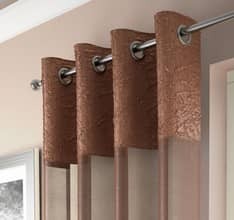 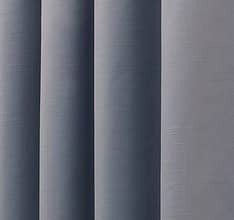 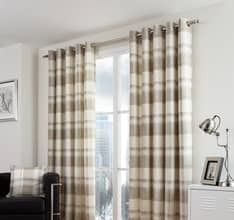 These curtains are the easiest of all to hang, the perfect choice if you want a fuss-free option. 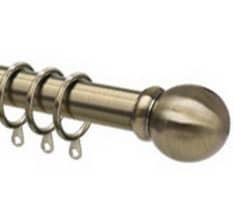 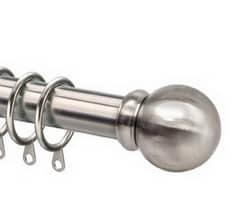 Simply thread your pole through the loops on the tab top curtains or the eyelet holes. 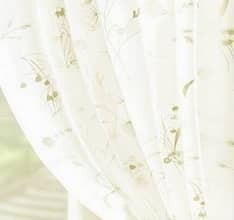 Keep one tab or eyelet either side of your end bracket to anchor the ends and prevent the curtain from sliding all the way across the window. 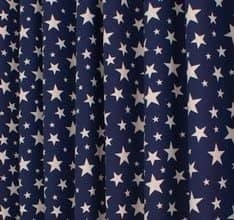 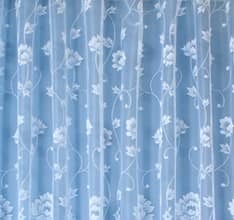 Once the eyelet headed curtains are up they will pleat into generous folds readily so there will be no need to dress them and no need for tiebacks as they usually stack back beautifully. 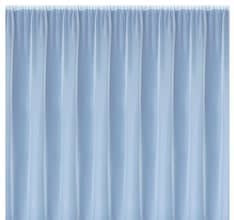 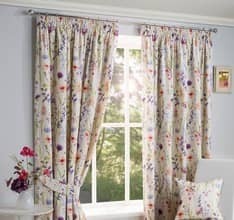 Tab Top curtains should ideally only be used as dress curtains and will benefit from a pair of tiebacks to keep them held back, away from the window.